I know that 2000 page views may not seem like something exciting to some of you but I have been wanting to reach this amount of views for a while now. Reaching a milestone like this makes me more determined to write more and more because I must be doing something right! I'd love to celebrate with a giveaway because I love to give back! 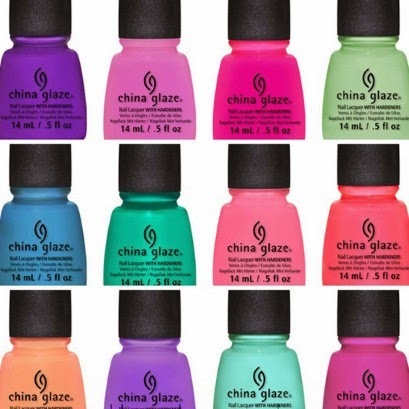 Recently Miss Budget Beauty has been raving about these gorgeous nail polishes by China Glaze and I've even ordered myself one! They look absolutely stunning and I'm in love with them already so I'd love to give you the chance to win 2 China Glaze Nail Polishes of your choice! Follow my blog via Bloglovin: here. Check out the range of colours from this website - here. Good luck everybody! This will close on 23rd April 2014. I would love to win tongue & chic and drastic! Twitter is @AboutANail and bloglovin is AboutANail ( I think that's right... Only just set them up!) Also .massive congrats on the views!! Congratulations on all those views that's brilliant news.